We put up with a lot in life. I just got back from the gym where I lifted heavy weights until every muscle in my upper body is crying out in pain. A few days ago I spent a couple of hours out in the heat mowing my grass, trimming, and edging. This isn’t a pity party. I put up with all these things because I know the outcome will be worth it: I stay in shape. My yard looks respectable for my neighborhood. Everyone has a threshold for what they’re willing to do, based entirely on what we receive. It’s the cost of doing something. The greater the amount received, the greater you’ll endure for it. It’s easy to see this play out in life when it comes to money. The greater the solution, the more you’ll pay. You’ll also pay more to get more. As a Church Communicator, you have to start “charging” for the materials you’re providing. Once you’ve tiered your communications (so everyone’s not screaming over each other to get the attention), you need to promise them something in return. Top tier gets the most, second tier gets a lot, and the lower tier doesn’t get as much. Like what? I’m referring to all the communication tools and products you have to offer (i.e. Banners, Pulpit announcements, Website Home Page, Social Media campaign, etc.). Next you need to “set the price” so each ministry has the privilege of receiving the things ascribed for their event’s tiering. This doesn’t mean that you should actually charge them money. Instead, you need to think about how valuable the communication materials are and how much someone would be willing to put up with, in order to receive all of them. Instead of money, consider the deadlines. Top tier communications (where you offer the most) have to require a high price. So you must require a lot of details at a very early date. You need that to produce everything properly. “But my church leadership won’t possibly agree to that much lead time!”, I can hear you exclaim. Make sure you emphasize all the great solutions that you’re willing to offer for that high cost. If you “market” it the right way, they’ll understand. Just remember to follow through with your promises and amaze your ministry leaders! If they don’t want to put up with the early deadlines, they’ll have to receive less communication support. Be kind when you tell them this. 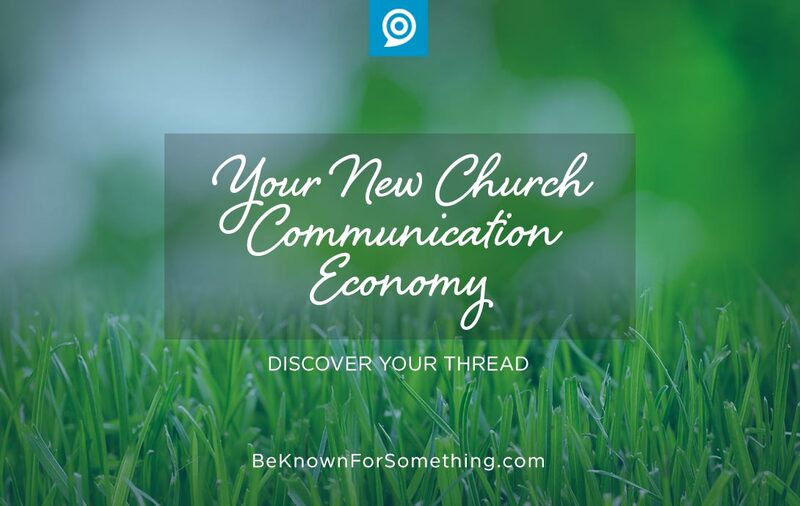 It’s your new Church Communication economy.